The West Himalayan Yew (Taxus contorta) has suffered a recent population decline of at least 50% over the whole of its range. In each different cultural context, people have found a variety of different uses for this tree; each contributing, however differently, to the overall decline of this species in the wild. Its timber is frequently used for the construction of houses as well as for the making of furniture; it is even known to be employed for such specialised uses as grave coverings and beehives. In Pakistan, the wood is used often as fuel and the foliage as fodder for livestock. In Afghanistan, up to 50% of the forests where T. contorta occurs have been destroyed or heavily logged over the last 30 years. The bark, leaves and twigs have a range of traditional medicinal uses but, like its close relative T. chinensis, it’s also used for the commercial production of Taxol, a key anti-cancer drug. It is this particular use that is the main driver behind its sudden decline in India and Nepal; a decline of up to 90% nationally. Until relatively recently, there has been some confusion about the taxonomy of Yew trees in the Himalayas. For many years, T. wallichiana was thought to be the only Taxus species that inhabited the entire mountain range. 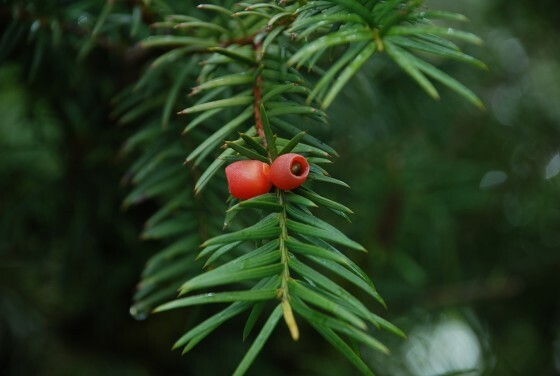 More recently however, most of the Taxus populations occurring from central Nepal to northern Pakistan and Afghanistan have been attributed to T. fuana, which was first recognized in the mountains of Tibet. However, this species turned out to be synonymous with T. contorta, a much earlier name that has priority and therefore must be used. If T. Contorta is to survive in the wild, it will need a well managed and sustainable response to the current (and completely unsustainable) levels of exploitation. Extraction methods that do not kill the species and the harvesting of cultivated rather than wild populations are essential conservation measures. Thankfully, plantations are gradually being established to encourage private/ community cultivation, and programmes are being developed to encourage its protection in the wild. Thomas, P. 2011. 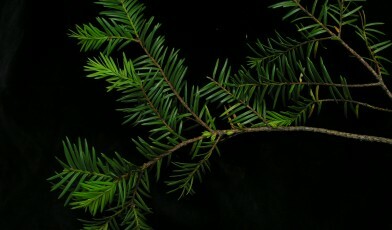 Taxus contorta. The IUCN Red List of Threatened Species 2011: e.T39147A10170545. http://dx.doi.org/10.2305/IUCN.UK.2011-2.RLTS.T39147A10170545.en.